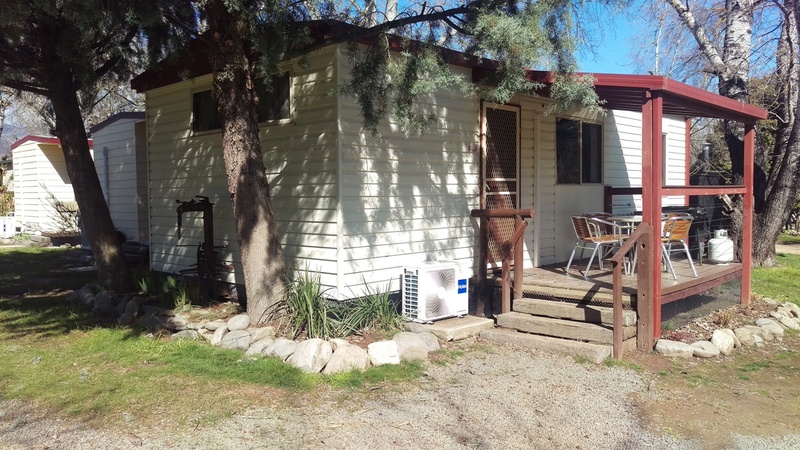 At Khancoban Lakeside Caravan Park we offer clean and comfortable accommodation. With each cabin offering a unique design to cater for your needs. Spend more time exploring the outdoors while relaxing in comfort indoors! This cabin can accommodates up to 5 people and is a perfect fit for a small family. Self contained, clean and comfortable! 1 Double bed – made up with linen and blankets included. 3 Single bunk beds – blankets and pillows are in the cabin with extra linen issued upon arrival. Towels provided for each guest. Microwave, cook top / oven and bar fridge. Crockery, cutlery, saucepans, fry pan, kettle & toaster. A two bedroom cabin with everything at hand and is a perfect fit for a larger family. Sleeps up to 8 people this style of cabin will help you to settle in quickly. 6 Single bunk beds – blankets and pillows are in the room with extra linen issued to guests upon arrival. Towels are issued to each guest. Microwave, cook top / oven and a bar fridge. If you prefer a little bit more space then this cabin is ideal. Sleeps up to 7 people, completely self contained, clean and comfortable. 1 Double bed – completely made up with linen and blankets. 1 Double & 1 single bunk bed – blankets and pillows included, with extra linen issued to guests upon arrival. Towels are issued to guests upon arrival. Microwave, cook top / oven and fridge. Open living/ dining spa cabin has your comfort zone covered. 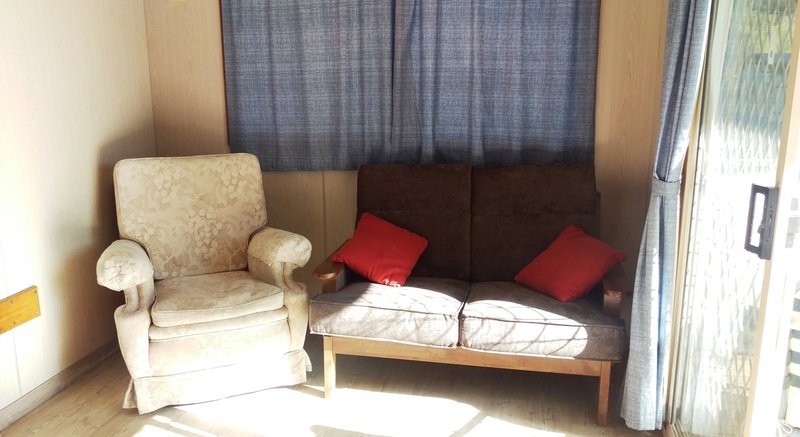 Sleeps up to 4 people, completely self contained, clean and comfortable. 1 queen size bed – made up with linen and blankets. 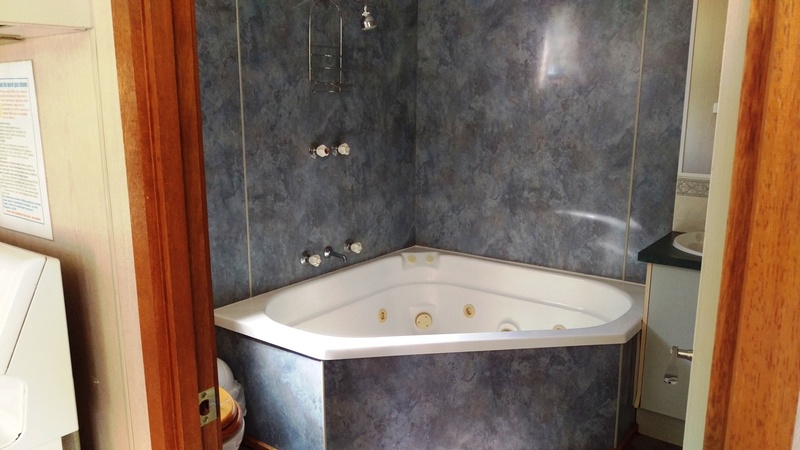 Spa bath in en suite. Microwave, cook top /oven and fridge.